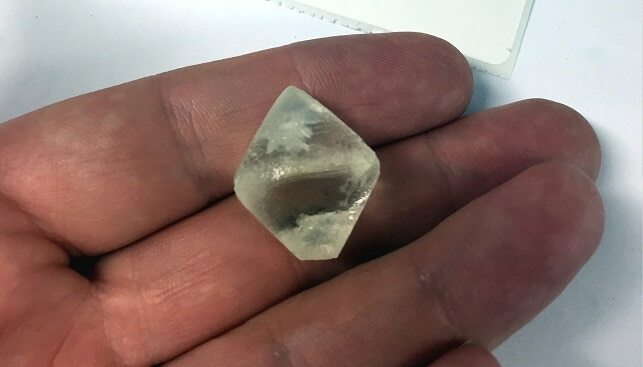 Mountain Province: "very promising” results considering “recent reports of challenging market"
Mountain Province Diamonds, which owns 49% of the Gahcho Kué diamond mine in Canada, has announced the results of its latest diamond sale from November 14. Mountain Province raked in $17.7 million from the sale of 245,751 carats, achieving an average price of $72 per carat. According to the miner, it saw good price bids for its better quality larger goods, as well as “a slight increase in the pricing for lower qualities and smaller sizes”. Mountain Province said that the results “are very promising” considering “recent reports of challenging market conditions in the rough diamond industry”. Stuart Brown, the Company’s President and CEO, added: “Our sale for this cycle was an excellent result in the current market. We were very pleased that we saw a steadying of prices in the lower quality smaller goods”.